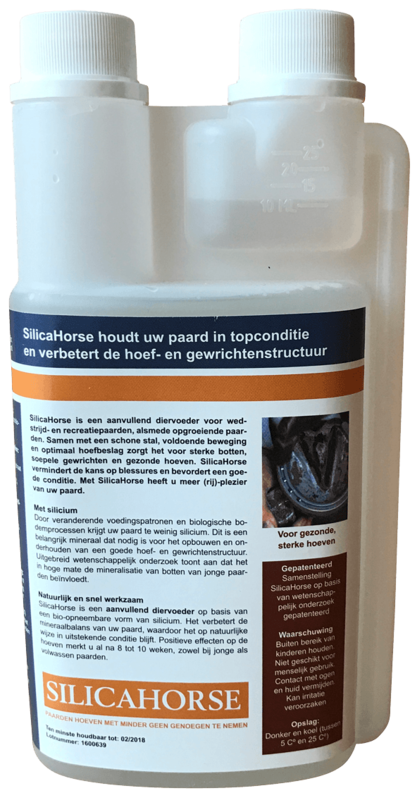 SilicaHorse is a supplementary animal feed with silicon. Good for the horses, but also for the overall condition of your horse or pony. Your horse or pony usually gets too little silicon. Indispensable for healthy hoofs but also for bones, joints and fur. 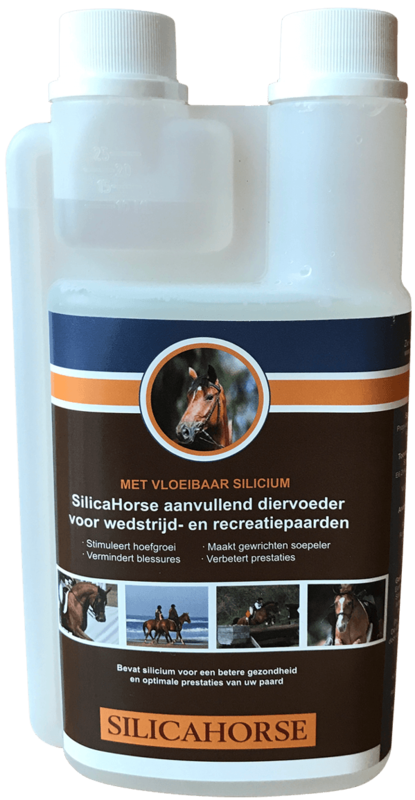 SilicaHorse is a supplementary animal feed with silicon. Good for the horses, but also for the overall condition of your horse or pony. Your horse or pony usually gets too little silicon. Indispensable for healthy hoofs but also for bones, joints and fur. 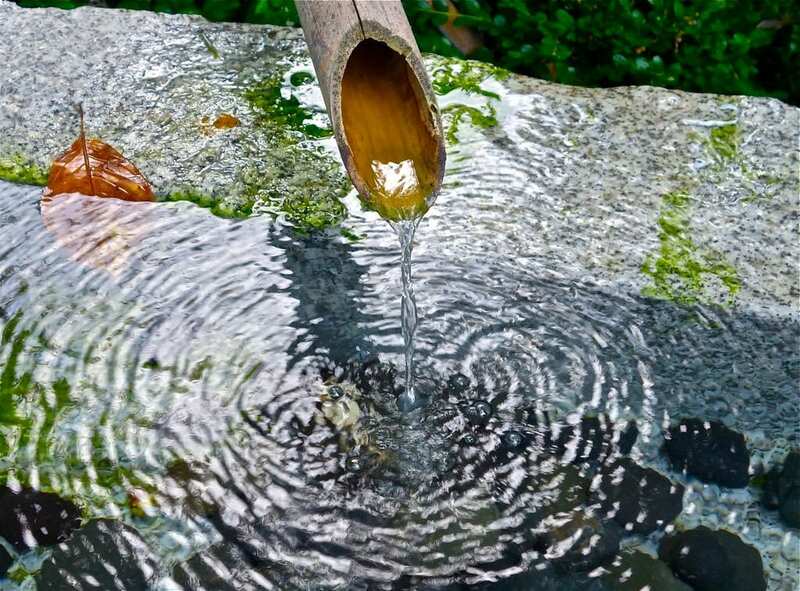 This mineral is of great importance to the health of your horse or pony. 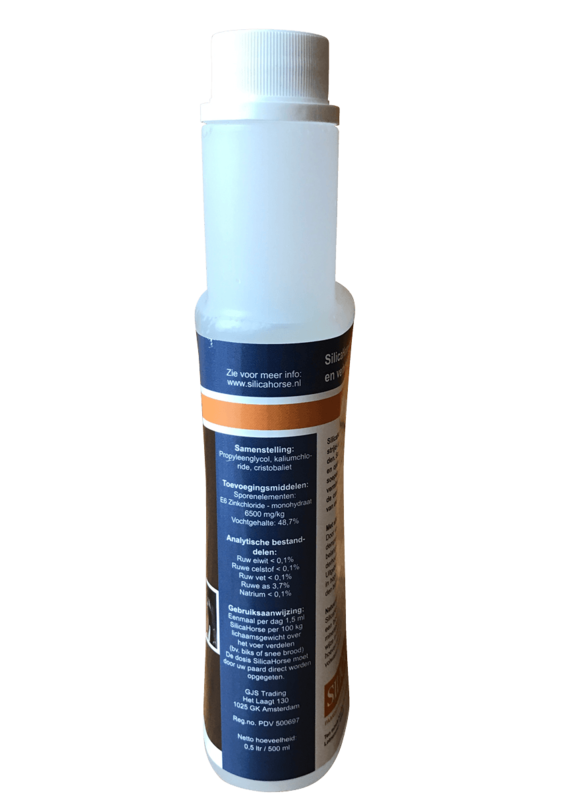 Silicone improves the balance of your horse or pony. Also, your horse or pony will naturally be in good condition. Whether it’s a sports, recreational or breeding horse, you want your horse moving smoothly, in strong condition and in good health. Therefore, ensure a clean stable, sufficient movement and the best hoof care. 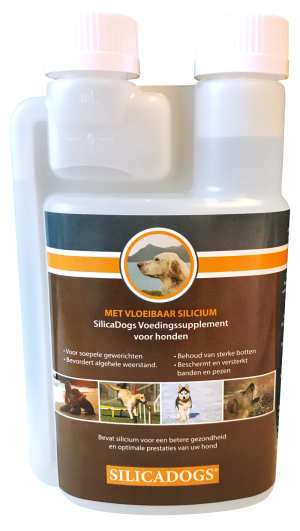 SilicaHorse is made under extremely strict conditions with the highest requirements for producing supplementary feed. 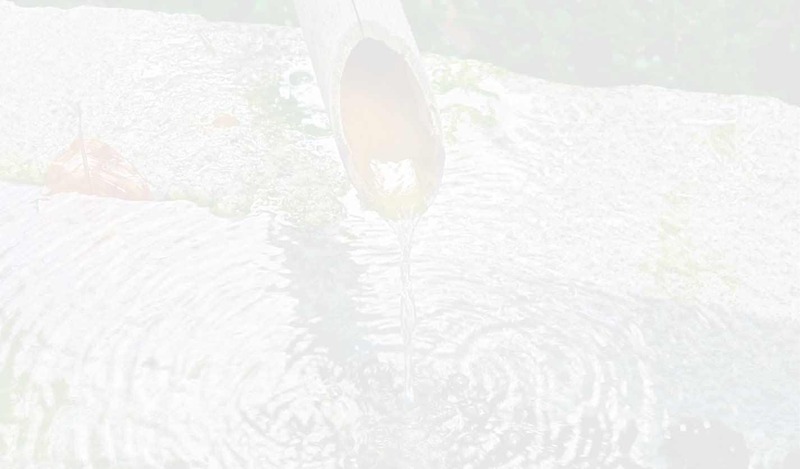 The composition is patented, based on scientific research.